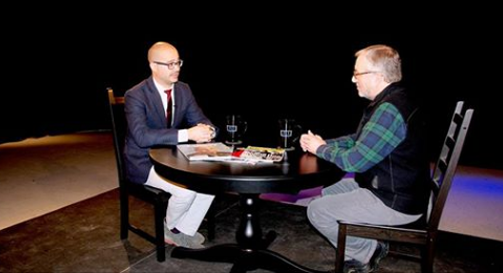 This week, RI PBS's show doubleFEATURE will have an interview with Derek Dubois. The show, a 60 min. weekly series, is television magazine showcase for the art of film and the artists who create them. Friday at 8 PM - 9 PM on RI PBS. Episode description: This week on doubleFEATURE: our short films include “Jitensha” directed by Dean Yamada, from the United States; and “Chronicles of Courage,” by director, Ernest Mills from the United Kingdom. Plus, George Marshall interviews director, Derek Dubois.